The French and Indian War, as it is now known, began in 1754 and ended with the French defeat in 1763. 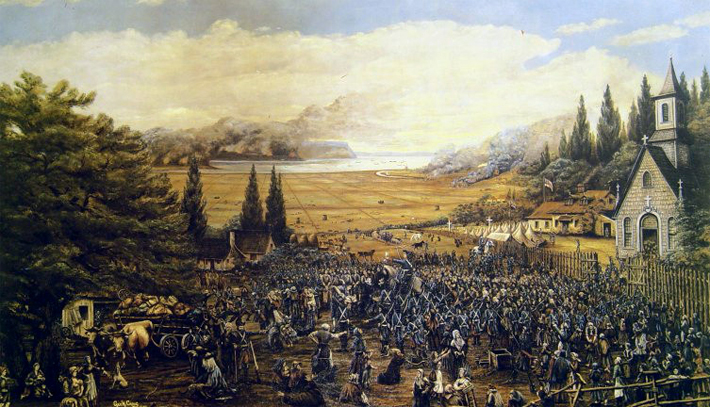 Expeditions were planned against the French strongholds on Lake George, Fort Niagara; and against the Acadian settlers in Nova Scotia. Massachusetts men played a conspicuous part in the war along with British forces. British and Colonial Forces captured the city of Louisburg on Cape Breton Island twice, first 1745 during King George’s War, and again in 1758 during the French and Indian War. To maintain the land route between Louisbourg and Quebec, the French built Fort Beausejou, located in present-day New Brunswick. 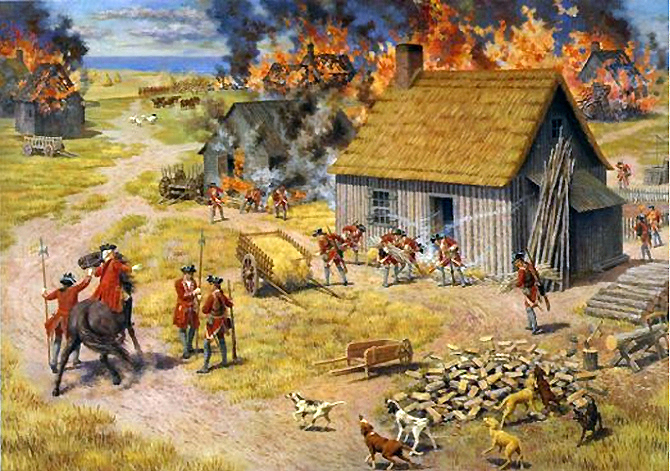 The conquest of the fort by the British in June, 1755 was followed by the systematic destruction of Acadian villages and farms. Governor Charles Lawrence of Halifax ordered the deportation of their 11,316 inhabitants, known in Canada as “Le Grand Dérangement.” Their homes and barns were burned, their cattle were confiscated by the soldiery, and the inhabitants were crowded into small vessels and shipped to New England, Pennsylvania, Maryland and the Carolinas. The following Information about Acadians who came to Ipswich is provided by Thomas Franklin Waters in his book, Ipswich in the Massachusetts Bay Colony, and by Joseph Felt, History of Ipswich, Essex, and Hamilton, with additional information from Lucie LeBlanc Constantino. On February 9th, 1756, the Landry family arrived in Ipswich. Records indicate they may have been originally assigned to Needham and Waltham. Susanna How of the inn now known as Swasey’s Tavern received them, and at her hostelry, Margaret Landry, wife of John, gave birth to a son, named in honor of the town for its hospitality, “John Ipswich Landry.” Dr. Samuel Rogers, whose house is now the Rogers and Brown Bed and Breakfast, provided shelter until Feb. 19th, when they found a permanent home in William Dodge’s residence at 59 Turkey Shore Rd. The Town provided them with food, a loom and tackling and two spinning wheels, plus, scythes, hoes and spades for their gardens. Paul Breau and his wife Marie-Joseph-Landry, his wife, and children. The children identified with the children of the Town and were known as Molly, Peggy, Nancy, Susan, Matty and Francis. When their exile ended they, went to St-Jacques de l’Achigan in Quebec. 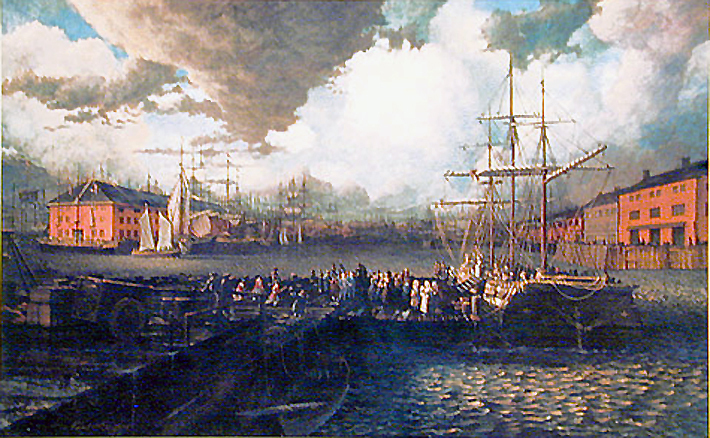 Acadians disembarking at Boston Harbor. Painting by Robert Dafford. In June, 1766, a large number of Acadians took the oath, including 140 from Salem. Having been deprived of all assets, some tried to make it to Quebec or Nova Scotia by land. Arrangements were made for their removal by ship, and in August 1766, the transport was arranged. 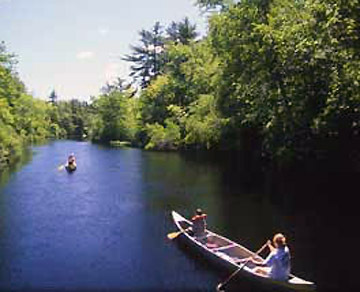 The Town of Ipswich refused to grant money to pay for their passage, but repayment was guaranteed by the Canadian provinces. 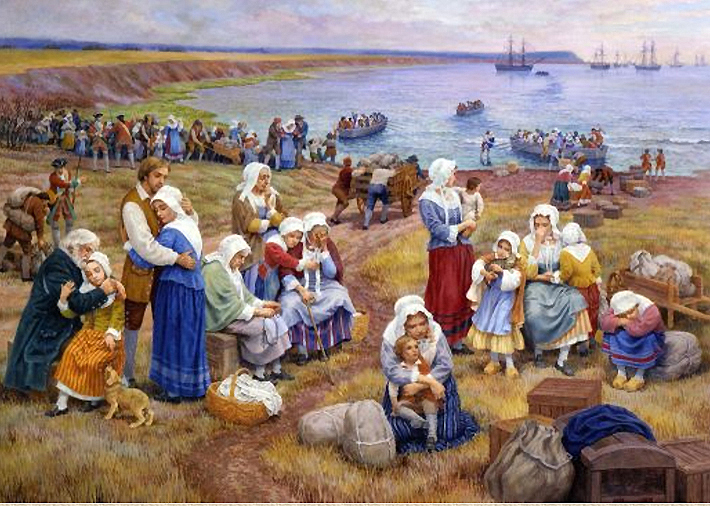 Acadians who returned to Nova Scotia found their land settled by English colonists, and many eventually settled in the Petit Codiac River Valley in New Brunswick. For further reading, visit Acadian and French-Canadian Ancestral Home.